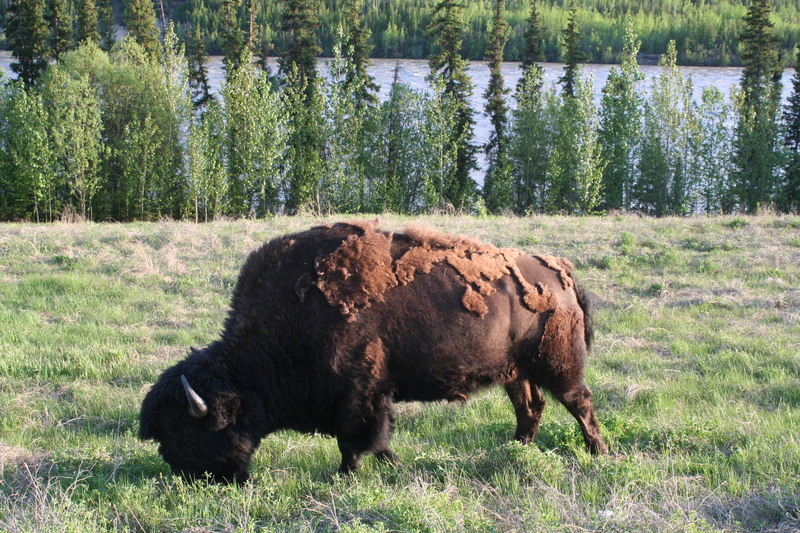 Okay, so it used to be that there were a kabillion buffalos roaming the prairies, so many that when the Europeans immigrated they would just use the choice hump of the buffalo and leave the rest to rot. But the native people never did that—they respected the buffalo! For thousands of years the Blackfoot people conducted a killing spree called “Buffalo Jump”, but not every year, only years where the buffalo were particularly abundant. Then that year they would have plenty of everything and life would be leisurely. How they did this was by making a herd of buffalo jump off a cliff at this one spot where the Rocky Mountains meet the plains of Alberta. They would spend weeks lining a sort of diminishing path with fence and then dress up like wolves and stuff and scare the buffalo into stampeding down this corridor. The path would become increasingly narrow, and by the time the buffalo realised they were about to go off a cliff they had so much momentum and so many buffalo pushing behind them they would just go over, either dying on impact or breaking their legs so the Blackfoots could easily kill them later. The people had a nearby camp where they would party and process this amazing heap of buffalo into skins and pemmican and tools. They used all the buffalo, not just the hump, but there were lots of bones left over and they are about 12 feet deep below Head Smashed In. 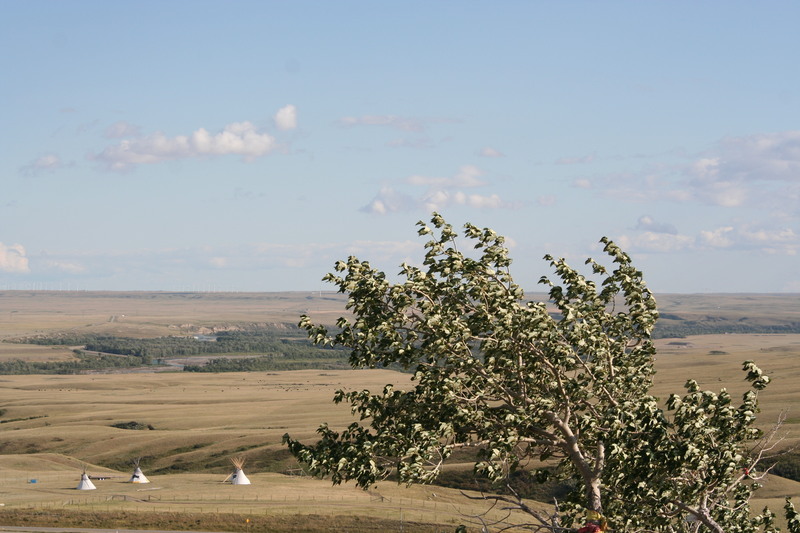 (All other known buffalo jump sites have been destroyed, because buffalo bones have a lot of phosphorous in them, and the bones were mined during the 19th century to make fertiliser, and later to make ammunition. Head Smashed In had not been discovered yet, so that is how it survived). One year, a teenage boy decided he wanted to see the buffalos jump from below, and he was later discovered dead under a mountain of buffalo, with his head smashed in. So that’s where the name came from. The Interpretive Centre was almost comical in it’s depiction of the traditional life of the Blackfoot, but maybe only because today’s stereotypical depiction of their ancient lifestyle is accurate? (I hope that is the reason). As you drive up you see Tipi’s on the plains, and indigenous people are banging on drums and stuff. The centre was really interesting. I particularly enjoyed an accounting book in the room dedicated to the time when the European settlers’ and the native peoples’ culture collided. Unlike Leonard, who we had met at the Nisga Lava Beds, and who’s Indian name meant “Wolf on Ice”, the names of the natives in this account book included ones like “Really Slow Runner” and “Never Pays His Bills”. It was like Looney Tunes meets History. I wish I had had the wherewithal to take a picture of this book, because those aren’t the actual names, they are just approximations (I don’t have a razor sharp memory and it’s taking me so long to write this blog it was now a while back). 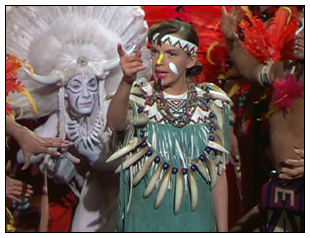 When we left I made Step and Linda listen to Ethel Merman sing “I’m an Indian, Too”—twice— which was a racially charged song from Annie Get Your Gun that isn’t included in modern productions. 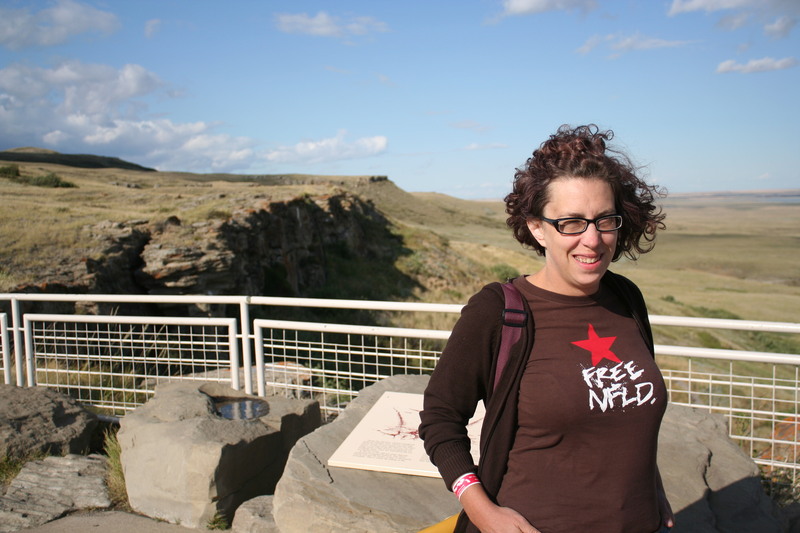 It just seemed to go really well with Head Smashed in Buffalo Jump. Click the link and listen for yourself. 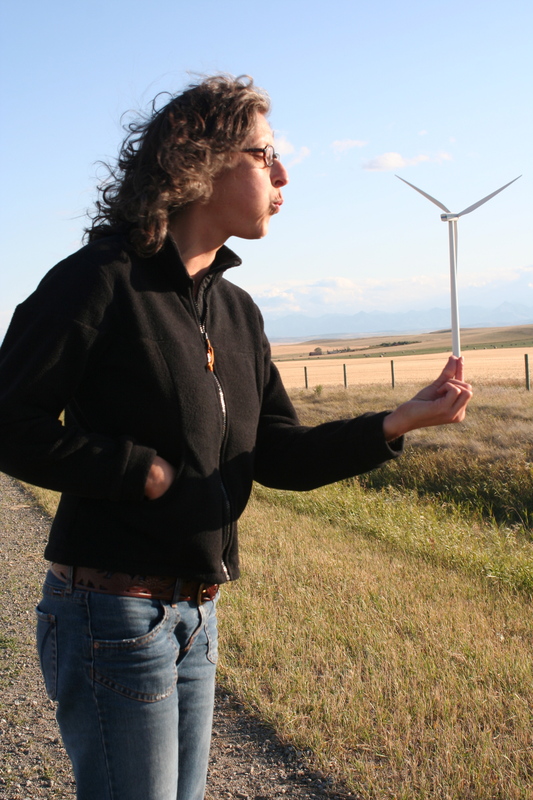 The plains of Alberta are super windy and we saw a lot of wind farms from Head Smashed In Buffalo Jump to Pincher Creek, where we stopped for provisions, and the wind followed us to Beauvais Lake Provincial Park, where, after changing sites several times (Linda didn’t want to be in a site with a tree stump in it. ???) we spent the night.